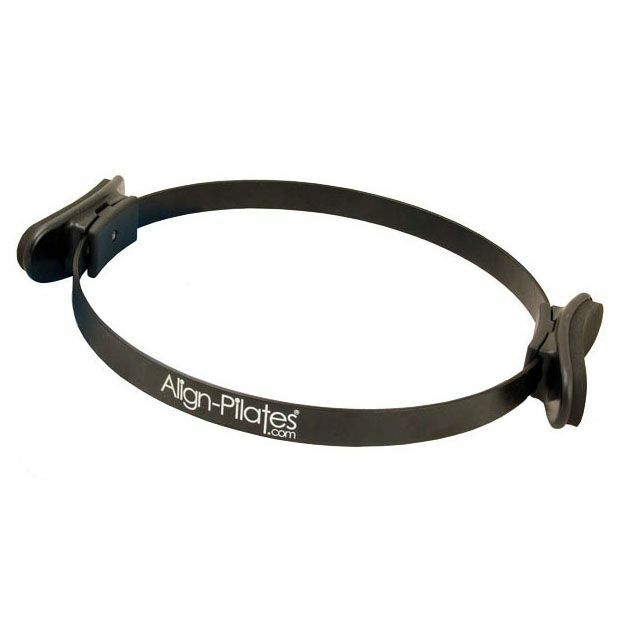 The Fitness Mad Studio Pro Pilates ring is a compact training aid that adds intensity to floor exercises and helps target specific muscles to achieve faster toning results. It has a tri band sprung steel construction with soft TPE double handles, which makes it perfect for training at home as well as for an intensive studio use. This larger version of the product features a diameter of 14" (36cm) and provides users with a slightly lighter resistance when compared to a 12” (30.5cm) model, also available in Fitness Mad range. Provides lighter resistance than 12" version. for submitting product information about Fitness Mad Studio Pro 14 Inch Pilates Ring We aim to answer all questions within 2-3 days. for submitting product information about Fitness Mad Studio Pro 14 Inch Pilates Ring. We aim to answer all questions within 2-3 days. If you provided your name and email address, we will email you as soon as the answer is published. for submitting product review about Fitness Mad Studio Pro 14 Inch Pilates Ring.